I wanted to throw out an idea to you today that I’ve personally used recently to grow my list. It’s all based around thinking about content that was destined for your blog, but repurposing it in a different way. Now, although my example is aimed towards the online marketing niche, as that’s where my heart is at right now – there’s no reason why these tactics won’t work for any niche you might be involved with. Just substitute the traffic sources I recommend for ones in your own niche, and you’re away. Here’s the idea, and the challenge for you. Instead of writing the next post for your blog, develop that into a report that you can give away to build your mailing list. Almost any detailed post that you’d be willing to place on your blog can be easily made into a free report. I’m assuming, of course, that you write quality posts for your blog. If you think they’re of variable quality, just choose one of the best ones. With this method, you can even take a post that you’ve already published on your blog and update it in the manner I’m going to show you to give you a new product. You need to start off with a typical catchy blog post. I like to use numbers, as anything you can break down in than manner is easier to write about. You can just treat it as a series of separate chunks, rather than one long document. You write the free report in exactly the same way as you would have written the blog post. The main difference is that you go into more detail with each of these chunks. Plus, you add more of an introduction about yourself, and you make sure to include some useful resources at the end of the report (whether these are your own online assets or ones that you’re promoting as an affiliate). As well as adding more detail, you can incorporate more images and examples within the report. One area I like to use in these reports is personal results. You can report these as a ‘case study’. Readers like to know how well things actually work. For a case study to be a success, you don’t actually have to have made a fortune with it. Marketers are becoming much wiser to Guru products and they’re looking for applicable and workable results from people on the same level as them. That means, people who don’t have a huge email list, or massive existing following of rabid buyers. So, your lower level results can be just as appealing in the modern marketplace. Your free report can be anywhere from 10 pages in length and up. 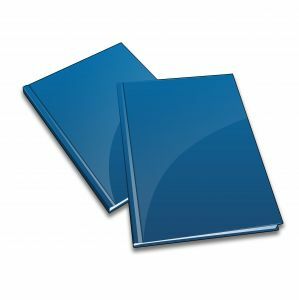 Now, that may sound a lot, but by the time you’ve counted out title pages, disclaimers and resources, you may only have 5 or 6 pages of contents. At 300 words a page, you’re looking at writing the equivalent of 4 articles of 450 words each. That’s something which is easily doable in an hour, or two hours if you’re a slow writer. 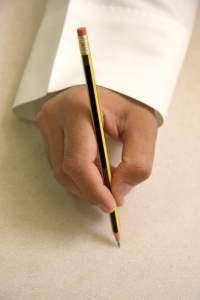 You can write more, and if you enjoy writing this can be beneficial for the long term. Slap a price tag on the short report (I suggest sticking with the typical price of $7), but offer this for free for a limited period, in exchange for an email optin. This element of scarcity will help you to draw in names for your email list. Put the report behind a simple squeeze page and you’re ready to advertise. For Internet Marketing products, I suggest that you advertise in the Warrior Special Offers Forum. I recently wrote a report along these lines, and you can see the results of the offer here (Insider WSO Tips). This report, detailing 7 tips I'd observed to have more success in the Warrior Forum, could easily have been a blog post, but just needed a little expansion to make it into a viable list building report. In my case, I decided to offer the report for free for 48 hours, which got me about 100 downloads. I also covered the cost of advertising on the Warrior Forum through an upsell product. One mistake I probably made was making this initial offer on a weekend, where traffic is on the Warrior Forum is usually lower. I’d imagine that I’d have done better by offering this initial 48 hour period starting on a weekday. The important point is that this system is replicable, and providing you’re able to write a report, set up a squeeze page, and add a small amount of sales copy to go with it, then you can easily grow an email list. It worked for me. This short report needn’t take you much longer to put together than a decent blog post and will be much more profitable for you in the long run. Are you ready to turn a blog post into a short report and grow your list? Have you followed this approach and had success? Just add your thoughts below and share them with us. Great idea Thom, I am going to try that. Thanks for sharing. Very helpful tips about WSO's. I don't think I realised it is more quiet on the weekends. Thanks. Thom, this is certainly an interesting and doable idea, and one that I shall consider for one or more of our blogs. Funnily enough Jase, yes, I've got an idea to expand this, add a few more hints and make it into a report. Actually, I've got a sheet of paper on my desk with about 20 report idea jotted down on them. They'll definitely all get done. I've also a set of articles I wrote, which turned out to be rather longer than I thought they were, which are perfect for turning into reports. My plan for both is to make them viral, with places for affiliates to put in their own links. I'm just waiting to get a couple more paid products together first to allow affiliates more chances to make money from them before I work further on the reports. I've been working through your excellent 12 minute articles videos and I was curious to know if you beleived it was OK to post the same article to your blog as to ezine articles? Or is there a "unique content" penalty for doing this? Mike, there's absolutely no problem with that, providing of course you use the same author name on both the blog and on EzineArticles (otherwise you run the risk of EzineArticles thinking that you've stolen the content). If I was doing that, I'd post to my blog first so that gets the most value out of the content. There's enough unique content on both your own blog and on the EzineArticles site surrounding the articles that you will receive visitors to both for keyword combinations that you've never even considered. I personally prefer to post different content on both. I'd reserve the best content for your blog, and then put the rest on EzineArticles. You can also write unique articles for EzineArticles on themes which are similar to the blog posts. Thanks for that Thom. EzineArticles is such a powerful site you don't want to upset them do you 🙂 Especially not when you are just starting out like me.